"Thank goodness for Myhang!" myself and my partner lost count of how many times we said this to each other during our recent home purchase in Toronto. Both first-time buyers, Myhang was there every step of the way with her knowledge and helpful advice. Myhang is particularly thorough and makes sure her clients understand the process of securing a mortgage, and closing a sale. Her calm and kind nature provide a sense of balance in the upheaval of home purchase! Extremely approachable and patient (not to mention a great teacher! ), she was always very prompt with her response to emails and calls, and was able to provide advice even if it went outside of her realm as the mortgage broker. For example, Myhang was able to advocate on our behalf in discussions with our lawyer to make sure things went as smoothly and promptly as possible. During the process we really felt Myhang was on our side. Her commitment to us was amazing, and she really helped us feel secure while saving time and money in the process! Through her services we were able to secure a great variable rate. Knowing that she is there to monitor the rates allows for a sense of security in having a variable mortgage, which we decided was best for us. If you are a client who is new to home buying, or you really just want someone in the field who is thoughtful, thorough, prompt and kind, Myhang is definitely the way to go. We HIGHLY recommend her services and will use her again without any second thoughts. Myhang helped us re-finance our home and consolidate our debt. She is very approachable and personable. We felt very comfortable working with her. Before helping us with the mortgage she helped us during our relocation from the USA to the Greater Toronto Area. Don't hesitate contacting her for your mortgage needs. Myhang made renewing my mortgage easy and helped me set up a credit line with a company with the best interest rate available. She also keeps her clients updated when the rates drop. 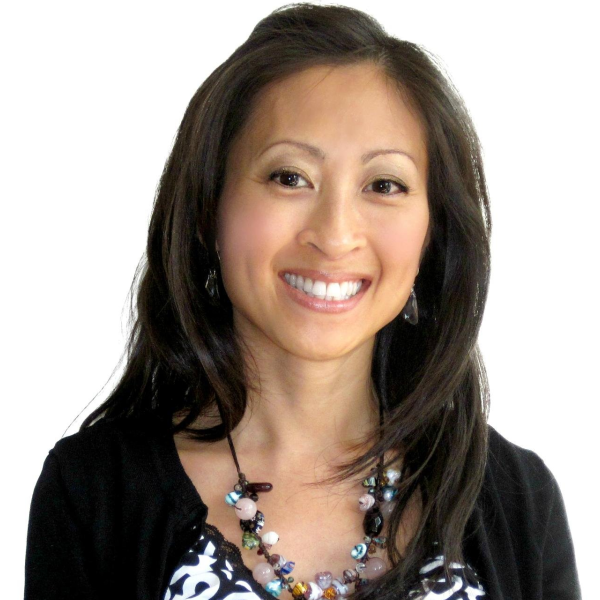 Myhang makes me feel that I am an important client and I highly recommend her as a mortgage broker. Myhang is incredible!!! Her professionalism, her knowledge, her kindness and understanding made the whole mortgage experience feel like it was the easiest thing in the world. I was separating from my wife and I needed a good support team around me, I was recommended to Myhang and it was the best recommendation I've ever had!! I was not in a good place and Myhang was understanding of that and she ensured that I was well taken care of. She made sure that the lenders weren't trying to screw me over and if there were any issues, she was all over it before I even noticed it. Myhang followed up with me, my lawyer and the lender, making me feel like I was her most important client. In this day and age, I find it very hard to find people who actually care about the job they do and they people they do that job for. Dealing with Myhang was eye opening, she is on the ball, doesn't miss a step and she genuinely cares about your whole experience from beginning to end. Its been months since my house closed and she is still making sure things are going smoothly....that's dedication. With Myhang, I not only saved money but I also got a new respect for brokers as I've met some in the past that were flighty or just wanted to get a deal done so they could move on to the next person. I think Myhang could help any person in need of a mortgage, whether is an extremely expensive property, average property or below. She works for you and makes you feel important...who doesn't appreciate that???? If I buy another property, I would only use Myhang and if I have friends that are buying, I would only recommend Myhang. Prior to working with Myhang Gibson, I always dealt with one of the major banks for my mortgage needs. In the past I have always been resistant about speaking to a mortgage broker. One of the reasons being, I was just comfortable with dealing with the bank directly and since I was a long term customer, I thought the bank would give me the best rate and product due to my long time loyalty. At least, that's what they always told me upon renewal and I had no reason to believe otherwise. I quickly learned that belief was so far from the truth. Myhang is one of those few people that is passionate, knowledgeable and eager to work for you. I found that she really knows how to listen and she knows the right questions to ask. After doing her own due diligence, she provided me with the best options that suited my situation and clearly explained the pros and cons of each. She made recommendations but never pushed me to go either way. When I had questions, Myhang was there in an instant with the answer and if she didn't know the answer, she found out the answer and got back to me without skipping a beat. I felt for the first time that someone was really working on my behalf and had my interests at heart. I ended up switching my mortgage from the bank and moved to a lender that she recommended. Myhang was able to get me a better mortgage product and better rate then the bank who I had been dealing with for over 30 years! Myhang was able to save me 3/4 of a percent on an already low rate. I am obviously happy that she saved me money but I am just as happy that I have established a working relationship with someone who I want to have in my court now and in the future. Myhang also went further and introduced me to another person to assist me with other financial needs and I am very pleased with that referral. I have no hesitation in using her services again or recommending her to others. Thank you again Myhang! My wife and I's experience with Myhang was great. I was referred to her by someone I know who had also had been happy with her work. We needed to renew our mortgage and were unsure if to stay with our current company and just renew or to look elsewhere for possibly a better rate. We had several questions during this process as we are fairly new home buyers and had not had to do this before. Myhang was very knowledgeable and was able to answer all our questions right away and in a very professional manner. I was very happy with the fact that I was able to keep in contact with her via email and phone and her responses to these was always quick. Ultimately we changed lenders. Changed our term and lowered our rate by a full percent! I have and will recommend her to my friends and family. Myhang is an incredible agent. We were fortunate enough to find her through Google and she had so many positive reviews that we felt very comfortable asking her to help us when our mortgage came up for renewal. She not only helped us find a far better rate with a new mortgage company, she also went out of her way to ensure that we had a full and comprehensive understanding of the entire process along the way, even meeting with us (at our convenience) to talk us through all the paperwork. And when the rates changed, Myhang notified us within minutes of the bank's decision, which is absolutely incredible. We are very fortunate that she agreed to work with us and would recommend her highly to anyone looking for mortgage help and brokerage services. Myhang was a pleasure to work with! She has wonderful customer service skills and was always available to answer any questions that we had. Her knowledge of the market and industry was great and we always felt like we were in the know. I would definitely recommend Myhang to others! We made a fairly quick decision to buy (our first) home, and Myhang was very accommodating in visiting us the next day. She spent a couple of hours describing the various terms and options available to us, and walking us through the house-buying process. Myhang has absolute loyalty and commitment to helping you achieve the best product, at the best price, for your own individual circumstances. We received numerous emails and phone calls throughout the house-buying process advising of updates, and to check if we had any concerns or queries. The most important aspect of any business deal is communication. Myhang seemed to be always available, be it phone or email. She would answer questions promptly and fully. She contacted us at every stage of the process to ensure we were happy with our information and progress. We spoke to her more than our agent! Myhang provides exceptional service. She is friendly, courteous, resourceful and very knowledgeable about her work. She ensures you understand everything about the product you are purchasing. In summary, when we engaged Myhang, we knew absolutely nothing about house-buying in Canada as we are ex-pats. Myhang led us through the process as though she were buying a property for herself. She answered every single one of our questions, treating us with respect and courtesy. We would definitely use her services again and cannot recommend her highly enough. Myhang knows how to create ease within complicated procedures. Her knowledge of available options is beyond extraordinary, I would recommend Myhang to anyone who enjoys working with the best qualified professional. Myhang is very proactive and thorough. She researches lots of mortgage options, answers questions quickly, and comes to you with an honest, best recommendation for which mortgage a buyer should choose. Her followup prior to closing is letter perfect. She'll give you a checklist and if you follow it, everything gets done on time and right. Myhang helped me with my mortgage last year. She's very friendly and professional. She took time to explain the different types of mortgage and the benefits draw back of each that greatly help me with my decision. I'm highly satisfied with her service. Thanks Myhang. Highly recommended. As a first time home buyer, Myhang has greatly helped and guided me to making a smooth purchase. She is really friendly, professional and responsive. Myhang Gibson was referred to my husband and myself through a friend when we were looking for a home. Myhang went above and beyond our expectations as she explained everything very thoroughly, always answered emails and returned phone calls promptly and is very very professional and personable. Moving can be very stressful and Myhang stayed very calm and reassuring through our entire experience. I always felt better after speaking with her. I would highly recommend Myhang Gibson as a very professional Mortgage Broker who goes that extra step! Thank you Myhang for all your hard work - Very happy clients!!!!!! Myhang was great throughout the whole process. Everything went perfect and she got a great rate for me. Would highly recommend her to anyone looking. Myhang helped me and my husband with our first purchase of a property in Canada. She explained in great detail the various mortgage options available to us and answered all our questions. If she didn't know the answer she came back immediately via email/call. We were most impressed with the continuous communication we received, and were kept informed step by step without ever having to chase her for information or updates. Even once the mortgage was in place, she made follow up calls to check payments were going through as expected. I would recommend her to friends for her professionalism, courtesy, knowledge and for going above and beyond our expectations. Thank you, Myhang! It was great opportunity working with Myhang, I was really impressed with her commitment to her clients. My first mortgage application with my bank wasn't successful for I was not able to produce many requirements. Being a busy person, I decided to seek help from Myhang and within less than a week I was pre approved. She 's always there to answer my questions and explained to me everything and made me approved with a good interest rate. As a first time home buyer I was really confident that I am in good hands. From the beginning until my closing date she's always there for me willing to give me advice anytime. I would definitely recommend her service to my friends. Her efficiency as a broker makes her OUTSTANDING among others. Millions thanks Myhang and more power to you! Myhang is very helpful and efficient Myhang was always available to answer my questions. She did not make me feel dumb even though some of my questions are pretty basic. She is so respectful and so competent. I am so glad I chose her over others to help me with my loan. Everything went so fast and so smoothly. Thanks Myhang you are awesome I appreciate everything you did. When looking for my first solo mortgage I was referred to a mortgage broker who, early in our dealings, had to step down so as luck would have it she referred me to Myhang with assurances about her skills and capabilities. Well she was 100% right! Myhang took to the challenge of finding me the right lender & a great rate in a timely manner and she certainly delivered. There were a few bumps along the way but Myhang always remained positive and focused. What stands out about Myhang is her tremendous customer service and communication skills. She always returned my phone calls, emails, texts in a timely manner and so as her client I felt appreciated and assured that there would be a positive outcome. She made herself available to me to answer questions or concerns I had, help with technology difficulties and even went out of her way to meet with me to sign documents and help expedite the process. She is a consummate professional, diligent, dedicated and to round it off so warm and compassionate. Who wouldn't want someone like that working on their behalf. Before this experience I had never used or even thought about using the services of a mortgage broker but I am so thankful that I did because it relieved so much stress at a very difficult time and helped me to achieve my goals. Fantastic! Myhang,.... you guided us through the process and lead us to a number of good mortgage rates. The service was friendly and you followed through. Myhang, keep up the good work and your professionalism. -- Masangkay and Family - Etobicoke. We used Myhang for the purchase of our very first home. We were referred to her by a mutual friend. Throughout the entire process she was exceptionally professional, friendly, attentive and knowledgeable. She followed up on emails and calls in a very timely manner and she was always considerate enough to personally give us notice when she was going to be unavailable (vacation) and provided us with the contact info for a backup colleague. She met with us initially and asked us a lot of questions to get a better idea of what we were looking for. She remained in contact with us throughout the process and even after the fact just to ensure we were ok with everything. We feel she went above and beyond to make sure we understood what options we had and what to expect. I would highly recommend her to anyone looking for financing. We will definitely use her again in the future. As first time home buyers we were very nervous about the whole process. Myhang was reassuring and took the time to sit down with us on multiple occasions to go over the process as it unfolded. She took the time to explain things and got us a great rate. When we had a last minute mortgage approval audit - the day before we were supposed to close - Myhang worked with us late into the night obtaining all the documents to satisfy the lender. I was impressed by her commitment and her willingness to go above and beyond for her clients. Very professional and helped with the closing of our home in a very timely manner. Took the time to properly explain the process which was helpful for us being first-time home buyers. Will definitely use her for our next home purchase.